Don’t call me Honey Bunny! In recognition of International Women's Day 2019 - on this significant day, Jannine Fraser, Managing Director of The Career Insight Group, shares her thoughts and some of her personal experiences on the journey to gender equality in the workplace and the impact getting it right has for society. In 2013 Jannine Fraser gate-crashed a pre-Board dinner. She was the only female on the board and she had discovered her male colleagues had been meeting regularly for dinner without her the night before board meetings. When she raised it, it was dismissed as a social event – an opportunity for their wives to catch-up. However, it was clear to her that agenda items and voting were being discussed during those dinners. So she called her mentor for advice. The message was blunt, “Turn up”. When she walked into the dinner, with a pit in her stomach, there wasn’t a wife to be seen. Rather than make a scene, which would have achieved nothing, other than alienating her further, she proceeded to act as if she had been invited all along. Her suspicions were validated and they knew what they were doing was wrong. It was a pivotal moment and that evening she re-claimed her position on the board. 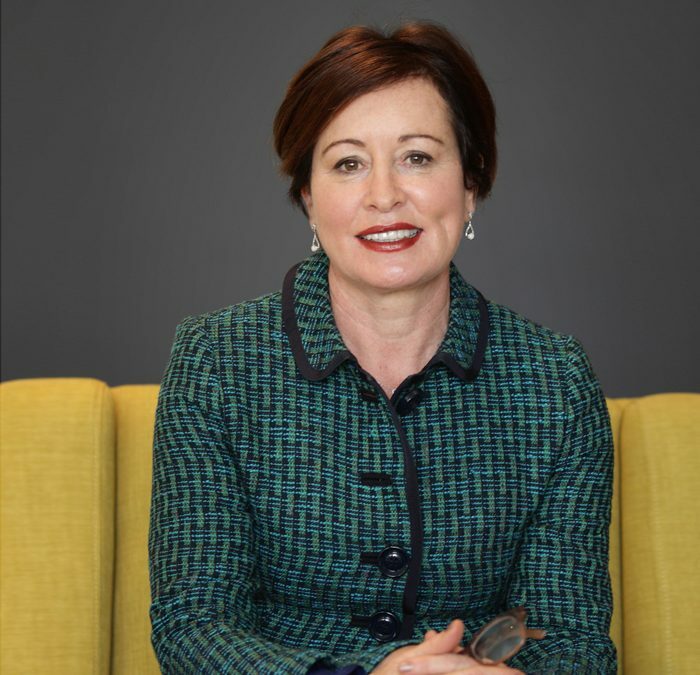 Fraser is a successful business woman, a coach and the Managing Director of Australia’s largest career management and outplacement company, The Career Insight Group. The Group encompasses Audrey Page & Associates, Directioneering, TwoPointZero and Navigation Group. She has worked with hundreds of business leaders navigating their careers through transition. She believes that inequality in the way women are treated in business flows from the way they are treated in our society. As a coach Fraser has plenty of anecdotal evidence of this inequality and as a successful business woman she also has a few war stories of her own. Fraser notes, “There is a prevailing attitude that issues of gender inequality are being exaggerated.” On International Women’s Day she challenges this attitude and reflects on the impact of discriminatory behaviour towards women in the workplace and its implications for the community as a whole. She also shares some of the ways she has chosen to deal with it and the advice she gives to others. How can challenging such behaviour have an impact on the bigger picture? By challenging what’s happening in the workplace I firmly believe we can impact what is happening in our broader society. Some attitudes towards women and the inability for parts of the business community to accept us as equals in the workplace has far-reaching implications for the whole of our society. To me it seems a no brainer, there is obviously a causal link between our attitudes as a community and the outcomes for women in our workplaces. The 2017 National Community Attitudes towards Violence against Women Survey (NCAS) found that promoting gender equality is pivotal to reducing violence against women. Gender inequality and attitudes supporting gender inequality provide the social conditions in which violence towards women is likely to occur. What actions can we take at work to change this behaviour? What we walk past we condone, is a good mantra to start with. How many of us read the headlines around Catherine Brenner’s exit as the Chair of AMP and felt a little like we were reading a gossip column? None of her male counterparts involved in the Banking Royal Commission were raked over the coals over speculation about their professional lives or were referred to as “slim blondes”. Mostly when we think about violence towards women we think about physical violence but in the context of the workplace it is usually subtler. In my experience it can often take the form of exclusion, bullying or intimidation and whilst physical violence would not be tolerated in the workplace in many cases we are still failing to act on and call out poor behaviour. This inaction perpetuates the discriminatory way women are thought of and portrayed, and this is impacting society far more broadly than just the workplace. If we can foster genuine equality in the workplace and talk about business leaders on an equal footing, based on their business credentials not their clothing or their commitment to their family then just maybe this learning will spill over in to the way we talk about and treat women in broader society. What advice would you give to women to navigate the current business environment? Learn to stand up for yourself by building a tool kit that helps you respond to any given situation. As a leader you will encounter the full gambit of power tactics including abuse, humiliation, belittling and undermining. I can recall a meeting of senior business leaders at which I was the only female. The Chair of the meeting leant back in his chair, put his arms behind his head and said to me, “OK Honey Bunny what have you got for us?” Whilst I was taken back, I looked at the other attendee’s and then smiled at him and said, “Oh he’s forgotten my name”. By batting straight back I showed he could not dismiss me and that I would not be intimidated. And interestingly since that date he has always treated me with respect, he values my input and we have developed a really great working relationship. Conversely there are also situations when stepping back and taking time to craft a more considered response has equal power. For many of us we react by putting on the boxing gloves or pulling out the tissues. I find that giving myself time to pause means my response is more effective. If such behaviour in men is their attempt at power play, it only succeeds if you let it. Staying centred rather than being reactive and making a considered response will have more impact. We are all on the hook in challenging inappropriate behaviour towards women. Every leader should have a trusted mentor close at hand. Being confronted with behaviour that belittles your contribution is challenging, so having a champion, a genuine sounding board is critical. It should be someone you trust, who you can turn to and ask for advice. Or equally someone you can off load to, who can say, “let it go, in the scheme of things that’s unimportant”. It is important you are selective about who you get advice from. I handpicked a small group of people I truly trust and whose opinions really matter to me. I reached out to them because of their experience and the issues they had to deal within their own careers. Female leaders are either effective or liked but not both and the message from me is to be prepared, you are going to be under scrutiny and it’s going to be tough. Brace yourself for life in the fishbowl. As a female leader it is pretty common to get unsolicited advice. Other women leaders I have worked with concur that this is common event. It makes me smile at the advice I have received in the past sometimes it’s useful but other times it’s not. Ignore the small stuff, it is hard but it is often these issues that can undermine your self-confidence and foster self-doubt. To protect yourself from the scrutiny and the unhelpful advice ensure you have a carefully curated support network. That’s the advice I give to the talented women I work with. Being older has also given me more strength to deal with some of the issues I have faced, I figure if you wade through enough mud your legs get stronger. As someone who has coached some of Australia’s leading business men and women, how can we install more gender equity in the workplace? I would really like our business community to see how our behaviour, as innocuous as we sometimes think it is, perpetuates the status quo towards women. We need to be mindful that what may be deemed acceptable behaviour in the pub or at home cannot help but spill in to the workplace. It’s not OK anywhere. As a coach and from personal experience I know changing behaviours is difficult and often confronting. With the right support, clarity around what needs to change and a steady commitment towards equality for women, we can achieve the kinds of changes necessary to create better conditions for our kids in the future. I really think we can do better.